The XGM868i from Panametrics is a gas flow meter designed to measure the flow rate of almost any gas. It is suitable for measurement of vent gases, waste gases, biogases, hydrocarbon gases, vapor recovery and more. No pressure drop is caused by installation of the unit and it requires very little maintenance as it has no moving parts to collect debris. The meter is easily installed and provides reliable drift free operation. All this in a low cost transmitter. Flow rate data can either be displayed locally or can be displayed on a remote system via an analog or digital communications link. 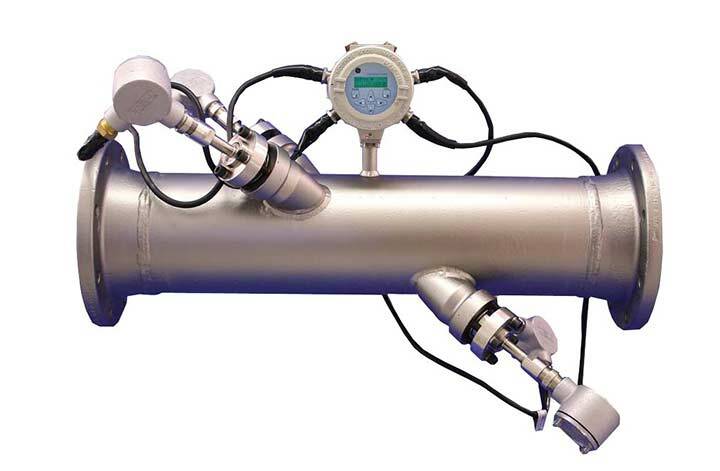 The gas flow meter can be installed directly at the flow measurement point as the electronic components are housed in a compact transmitter package. This simplifies the wiring of the instrument. A dual channel model of the XGM868 gas flow meter is also available which allows single path measurement on two pipes or measurement of two paths on a single pipe. Optional Inputs/Outputs All analog and digital I/O are available in special combinations. Consult GE for available option cards. available. Consult GE for details.